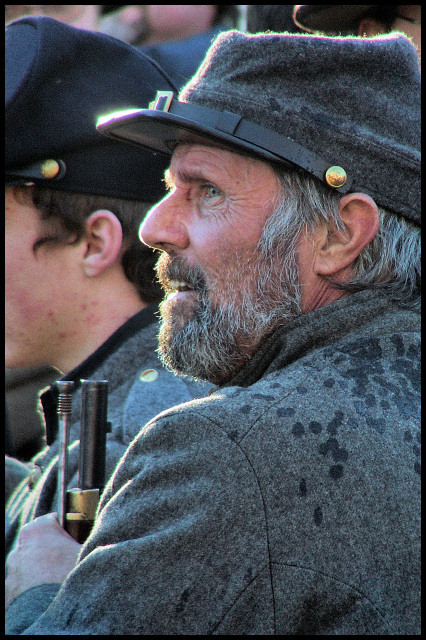 Civil War Reenactment - Battle of Fredericksburg. Yes, great image and composition. The highlighting around the profile really makes this image for me, and the rest of the image is nicely lit and exposed. A fitting tribute and memorial portrait. Great image! I like the backlighting and the overall 'feel' of this. Proudly hosted by Sargasso Networks. Current Server Time: 04/20/2019 01:01:27 PM EDT.